﻿ Zakk Wylde is possibly one of the most recognisable metal guitarists of all time. After all, with a stature and appearance like his you’d have a hard time missing him, but as the longtime guitarist for Ozzy Osbourne (as well as having some decent success fronting his Zakk Sabbath covers project recently), Wylde has become an established presence in metal’s extensive pantheon. Somewhat ironically though, that’s largely been done outside of his own band Black Label Society, certainly not a bad band, but being more of a straight-up hard rock and heavy metal outfit often leaves some of the more defined, less experimental edges sidelined, something that Black Label Society have struggled to cope with for a while now. As such, the unfortunately-titled Grimmest Hits sees Black Label Society continuing their crusade while brandishing the same well-worn formula that they’ve had for decades now – crushing guitar work that takes a fair share of influence from classic metal; a rather no-frills lyrical approach that’s cut from the same cloth; and Wylde’s galloping solos and man-of-the-mountain bellows to tie everything together. But in fact, for their tenth full-length release, Grimmest Hits is actually a lot more compelling than it really should be, even if innovation is succinctly capped. Perhaps it’s because that Wylde and his band do have more to offer instrumentally than any garden variety hard rock band, and alongside that older, weathered sound that seldom sounds slow or dated, there are hard rock thrills in this album that still resonate. The reference points are there – with tracks like Seasons Of Falter or Illusions Of Peace, there are clear homages paid to Wylde’s love of Black Sabbath, amongst numerous others – but they’re not bogged down in imitation that would otherwise hurt them as songs. Hell, even though The Only Words essentially feels like a cross between Lynyrd Skynyrd’s Tuesday’s Gone and Bad Company’s Shooting Star, Wylde paring his voice back into a huskier rumble goes a long way in terms of identifiable personality. On the flipside though, Grimmest Hits‘ lack of real variety does mean that certain tracks can bleed together or just remain completely anonymous in a tracklisting as weighty as this. The fact that A Love Unreal ends in virtually the same way as the following track Disbelief starts shows a lack of ingenuity, and on the whole, there are few moments of outright heaviness on this album that actually stick, mainly a gruff, gnarled guitar tone beyond any discernible melody and rhythm. If anything, Black Label Society fare better with the slower tracks here, like the languid southern-rock of The Day That Heaven Had Gone Away, or Nothing Left To Say with a clear influence from ’90s radio-rock. There’s a lot more texture and melody in these tracks than what’s typically offered here, particularly when the sole purpose of some seems to be seeing how loud the guitars can be hammered. Even so, Grimmest Hits doesn’t do a lot wrong necessarily, and as an exercise of seeing Black Label Society playing to their strengths, there’s certainly a lot of that done here. Even though it’s not reinventing the wheel or anything, this is an album that will undoubtedly play well to an already accumulated fanbase – it gives them what they want and does so in a way that doesn’t forgo any effort or feel rushed. It’s just a good, simple album from a band who have admittedly done better, but considering the skidding halt that the careers of so many bands their age has come to, it’s probably best to take what you can get. 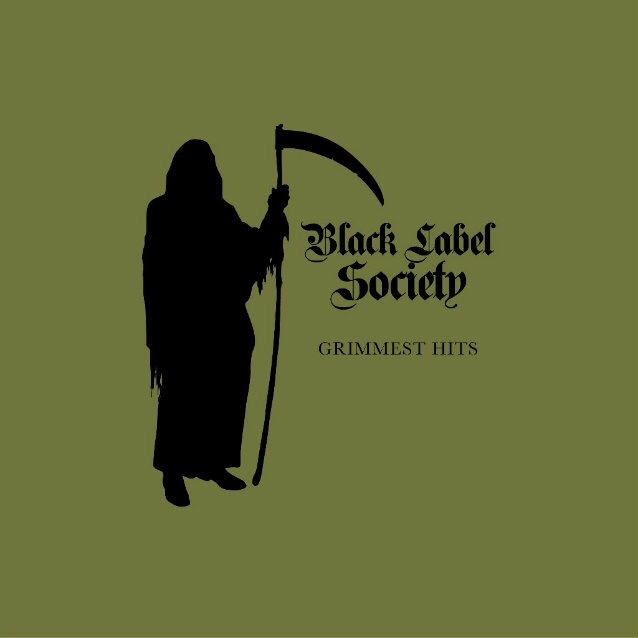 ‘Grimmest Hits’ by Black Label Society is released on 19th January on Spinefarm Records.